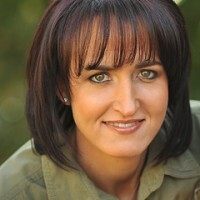 Dianne heads up Africa Direct USA and serves as the US agent for Africa Direct of South Africa. Dianne has tremendous experience in logistics, planning, and customer service. After graduating from Dartmouth College, she managed collections for McCormack & Dodge, delivered training for enterprise software and worked as an onsite consultant for Dun & Bradstreet Software. 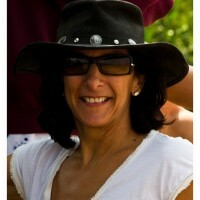 Looking for a new challenge, she left the corporate world to open a gourmet coffee shop in the suburbs of Boston. After successfully growing her business, she sold it and relocated to CT. She fell in love with traveling and specifically Africa in the next phase of her life when her family relocated again but this time to London. During her four years in England, she planned numerous trips for friends and family all over the United Kingdom, Europe, and Africa. She took pride in finding the lesser known places to visit or accommodations that brought people closer together through authentic cultural experiences. Upon returning to the USA, she continued her love for travel and planned trips to Ecuador, Galapagos, Thailand, Caribbean, Morocco as well as numerous safaris to South Africa and Kenya. Dianne and her family are hooked on the safari experience and absolutely love the bush! There is nothing that can compare to the experience of sitting in the presence of such amazing animals. To say that it’s a moving experience is an understatement! Dianne combines her expertise working with customers, multitasking, and logistics with her incredible love for travel and continues to inspire more people to visit Africa and create memories that will last a lifetime. She looks forward to working with you in the planning of a safari that best suits you and your family’s interests, needs and budget. With the support of the extended Africa Direct team, you can be confident that your trip will be a dream come true! Contact Dianne at di@africadirect.us to start planning your trip of lifetime. Tanya is an owner and founder of Africa Direct, based in South Africa, and oversees all tour planning and office operations. She has vast experience of personally visiting hundreds of lodges and hotels in order to be able to advise her agents and her clients confidently on top quality products because you cannot believe everything you see and read on the web or in a brochure. This dedicated approach of quality assurance has earned her the respect and regular return business in organizing top quality safaris according to one’s interests and budget. For Tanya, there is nothing as special as the African Bush with its unique fauna and flora, and she is incredibly passionate about Africa’s Big 5! She has personally visited more than 50 of Africa’s “Big 5” lodges during the past few years. There is no one with more personal experiences of luxury game lodges in South Africa than her. Tanya is a very keen birder – with her personal list exceeding 600. Her husband, Hilton, is an award winning wildlife photographer, and Tanya has arranged numerous wildlife photographic safaris for numerous clients wishing to capture that perfect shot! As well as being one of the owners of Africa Direct, Mike heads up the Specialist Safari division. Mike has been guiding for over 20 years in all parts of Africa and is now dedicated to privately hosting safari tours. His love for the bush and a desire to be a game ranger started as a young boy. After earning a degree in game ranging and private lodge management, Mike guided guests at Phinda Private Game Reserve and earned the role of Head Ranger there. He was further promoted to Specialist Ranger for AndBeyond (previously known as CCAfrica) and was based at Phinda until the end of 2008. During his time at Phinda, he won the Munyawana Ranger of the Year award in 2004 and the CCAfrica Ranger of the Year award in 2007. His qualifications also include being a trails guide, bird guide, canoe guide, evaluator, mentor and trainer for the entire AndBeyond group. Mike is also certified thru Field Guides Association of Southern Africa Association (FGASA). Some of the Specialist Safaris that Mike conducts are leopard research, white rhino darting, photographic safaris, specialist birding safaris, big cat safaris, predator safaris, and bush skills. Mike has expertise in East Africa such as Kenya and Tanzania, exploring the wonders of the great migration and the magnificence of Ngorogoro Crater. He has conducted ranger training at Matetsi in Zimbabwe and at Sossusvlei in Namibia. Mike is an accomplished photographer and is sponsored by Nikon SA as an ambassador for the brand because of his incredible photography and passion for the industry of guiding. He can help you secure the perfect shot as a great memory of your spectacular safari! If you want to specialize in photography, birds, habitats, animal behavior or even just enjoy the bush and what it beholds on your timeframe and based upon what you want to see, then the option of having a specialist ranger privately hosting you on your safari is the way to go! Eloise has been passionate about the safari and travel industry for the past 15 years and has been fortunate to visit a large number of the top safari lodges and other accommodation establishments in Africa. 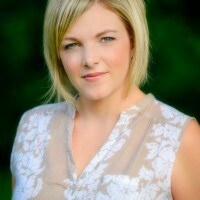 She has joined the Africa Direct team as a wedding planner and tour operator. With her husband being a professional wedding photographer, she has a deep understanding of the intricacies through experience, of what it takes to create the perfect wedding. Her love for the bush and planning of safaris, weddings and honeymoon journeys are two of Eloise’s great passions in life and Africa Direct has brought these two together. Marc has wanted to be a Game Ranger since he was a young boy. So it was a natural choice for him to do a Game Ranging and Lodge Management Diploma after school, which he passed with an overall distinction. After completing his studies, Marc worked at Madikwe Safari Lodge in Madikwe Game Reserve. He steadily climbed the ranks becoming a senior ranger, mentor, assistant head ranger and was then appointed as head ranger in October 2008. In 2010, he left Madikwe and spent time working in Namibia at Sossusvlei Desert Lodge followed by working in Botswana’s Okavango Delta. In 2012, he was nominated by his peers to compete in the Safari Guide of the year 2012 Competition where Marc made it into the top 8 rangers in the country. Marc has completed his FGASA (Field Guides Association of Southern Africa) level 3, which is the highest guiding qualification in South Africa and has also received his FGASA level 2 trackers qualification. Marc also has his full trails guide walking qualification with hundreds of hours of walking experience and dangerous game encounters on foot. This is one of his favourite ways of experiencing the bush and encourages all his guests to do tracking big game on foot with him. 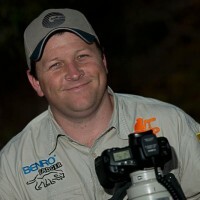 In addition to the bush Marc also has a massive passion for wildlife photography. He has been placed first and third in two international competitions: Africa Geographic / Canon Field Guides Competition and Wildside Nikon All Africa Competition respectively. Marc also received high commendations in the Fuji film awards for 2012 for the category People in Nature. Marc’s Rhino images have also been used in Anti-poaching campaigns across the globe and he has also just been made a featured photographer for Getaway magazine. Marc’s great understanding and interpretive skills of animal’s movement through the bush have gotten him into the best position to capture these world class images. When he picks up his my camera, he analyses the light, terrain, positioning and composure of the subject to make it work to his and his guests every advantage. Marc’s goal is to be able to leave the sighting knowing that he and his guests got the best pictures possible. He is a very serious birder, and his love for birding has allowed him to explore the remotest parts of Mozambique, Zimbabwe, Botswana and Namibia looking for all the special rarities. As a result he has extensive knowledge of these regions and can lead specialist birding tours into these area’s to look for some of the hardest birds to find in Southern Africa. Marc is an exceptionally outgoing person with an immense passion for the bush. With a great sense of humor, interpretative skills and understanding of guest’s personalities and needs, he continues to achieve faultless feedback.Marc has such a thirst for acquiring knowledge about wildlife and nature from all around the world and feels lucky to have had the privilege of guiding guests through these exciting places. 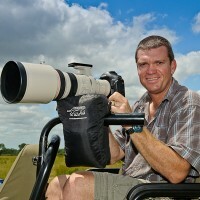 Hilton Kotze is a dynamic wildlife and sports photographer, with an exceptional passion for Africa and its wildlife. His 12 years of experience in the bush, love of people and his ability to share his knowledge make him a very successful photographic host. Hilton has had the great fortune to travel to some of the most remote and sought after wildlife and photographic destinations in Southern and East Africa including, Botswana, Namibia, Zambia, Kenya and Tanzania. These travels have enabled him to capture some of the most special moments nature has to offer. 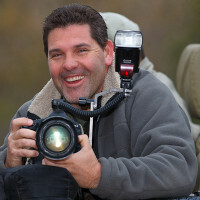 Hilton’s great personality and fantastic communication skills together with his ever growing love and passion for nature and wildlife and his wealth of photographic knowledge makes Hilton a great photographic host. Hilton is able to assist his guests seize the moment and capture creative, unique and exciting images while growing their own passion for nature and photography. Hilton is also very familiar with both major brands of equipment, Nikon & Canon, and is able to assist with both. Born and raised in Zimbabwe, Brendon’s school years included conservation and research work in the school’s own game reserve and worked in the Kariba area and in Matusadona national park during his school holidays, building on his knowledge of wildlife. After Brendon completed his school he went to work in Matusadona National Park where he studied all aspects of wildlife and the African bush, from plants to insects, birds and mammals. After completing his apprenticeship and qualifying a Professional guide, Brendon worked for a company that conducted walking trails in the Matusadona National Park, tracking and stalking big game and learning animal behavior. 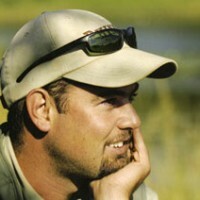 After spending a few years guiding in Zimbabwe, Zambia and Botswana, Brendon eventually settled in Victoria falls where he worked in the Kazangula area along the Upper Zambezi and in Chobe National Park, conducting big game walking trails as well as birding and fishing safaris. It was here that Brendon started his photographic obsession, never wasting any opportunity to be out photographing After returning to South Africa, he and his wife worked as lodge managers in the world renowned Sabi Sand game reserve. In those four years, Brendon focused his photographic attention on the big cats of Sabi Sand and developed extensive knowledge and understanding of their habits and habitats. 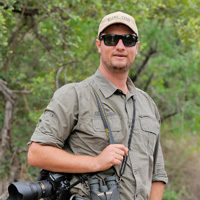 Today after spending many years in the bush, Brendon is an adventurer, conservationist, photographic host and wildlife photographer, based in South Africa. Through his passion for photography together with his profound knowledge, deep respect and understanding for Africa and its wildlife, Brendon’s guests not only enhance their photography, but also gain a lifelong admiration for Africa’s wildlife and culture. Predicting animal behaviour is essential to ‘getting the shot’ as Brendon often proves and he always does his best to get his guests in to the right position. Brendon is familiar with both the Nikon and Canon Brands so is able to assist with both.